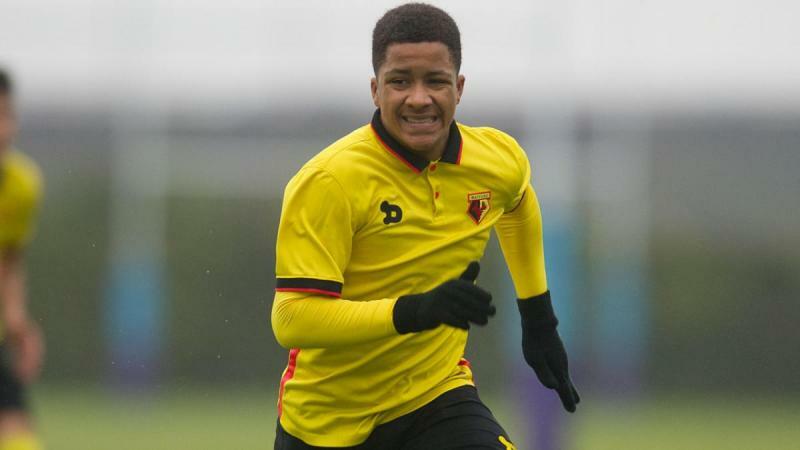 Watford teen-star Jayden Bennets has reportedly returned to the United Kingdom upon departing from the Flying Eagles training camp ahead of the upcoming 2019 U20 Africa Cup of Nations. Born in Barnet, England to a Nigerian father and German mum, the uncapped midfielder is eligible to represent the national teams of Nigeria, England and Germany respectively. During his stay in the camp, the 18-year old who has spent the best part of his life in England before his invitation to the Nigerian team struggled to fit into the training regime of the coaches particularly the physical aspect of the game. The team stepped up their preparations with series of friendly games but Bennetts didn’t play in any of the game for the team who are planning on a training tour to Saudi Arabia before heading to the Niger Republic for the Africa U20 Cup of Nations.